• Putting together a content marketing strategy for the company and setting sales and marketing KPI’s to manage activity within the team. • Training the loan consultants and salesteam on sales techniques and giving advice. • Managing the company’s social media accounts and posting relevant content. • Arranging for the company to attend relevant industry events and conferences. • Excellent motivational and leadership skills to inspire performance. • Highly motivated with a genuine drive to succeed. • Must have experience working in a microfinance industry. Qualified candidates only should send CV to [email protected] before 18th October 2018. 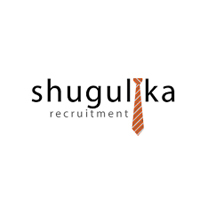 Shugulika Recruitment - The leading recruitment company in East Africa.